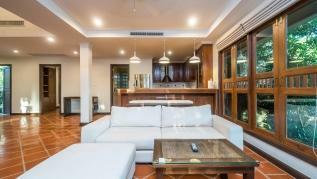 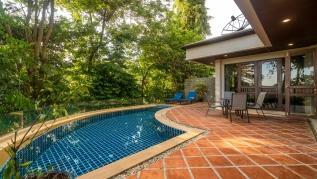 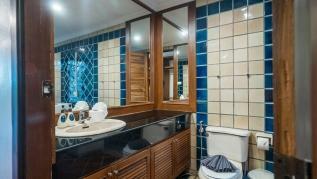 This villa in the connecting road of Patong and Kamala offers a great set of amenities for all travellers, very close to the beach and very convenient. 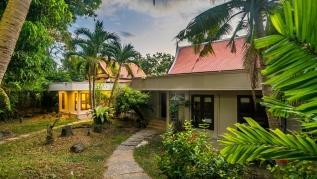 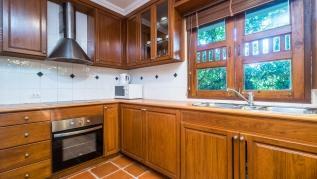 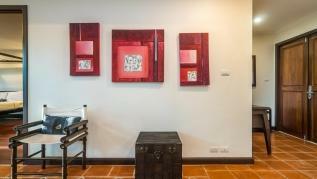 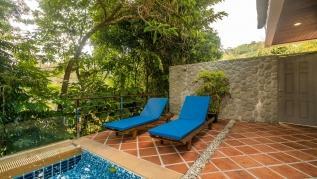 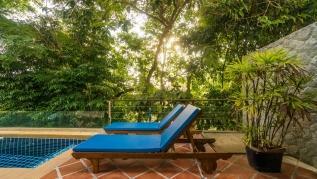 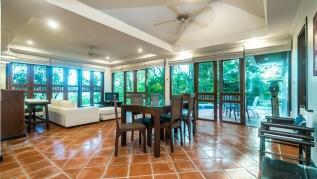 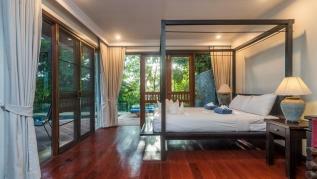 It can be rented together with its twin villa B and become a 4 bedroom! 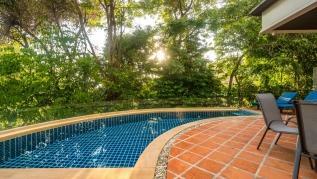 From the patio you can see the elephants! 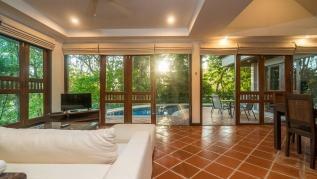 The living room overlooks the 20 feet pool and patio with seaview and sunbeds. 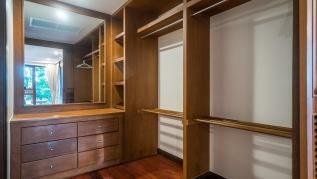 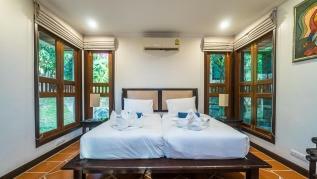 The second bedroom has a twin beds and ensuite bathroom wth shower. 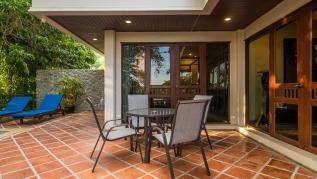 The terrace has a seating set for outdoor dining and a gas BBQ to prepare delicious Phuket grilled seafood. 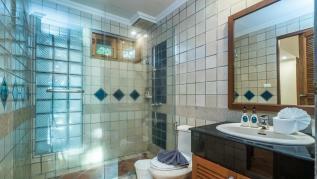 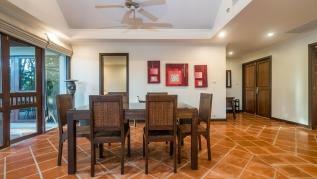 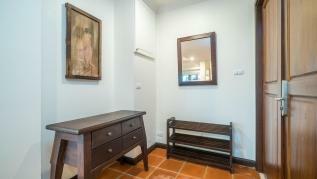 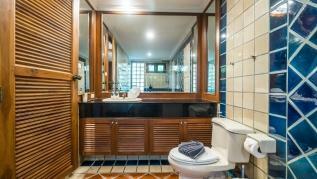 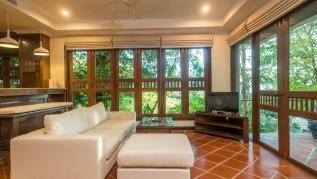 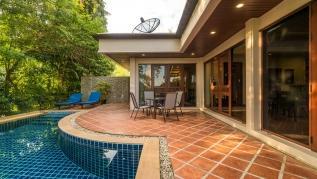 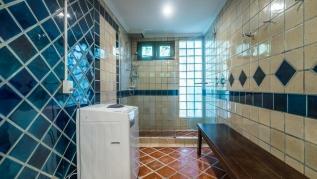 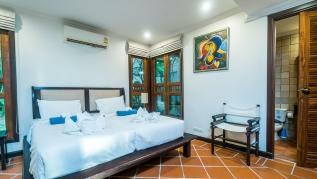 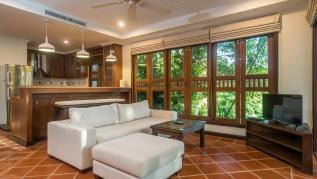 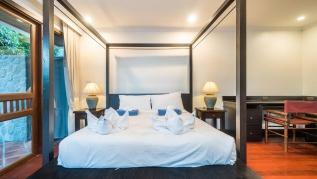 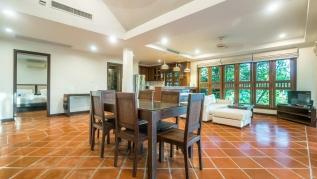 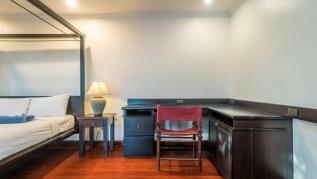 Location is very convenient, only 4 minutes to Kamala and 10 minutes to Patong.